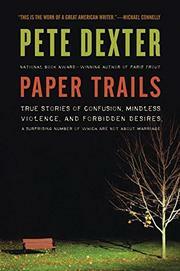 National Book Award–winner Dexter (Train, 2003, etc. ), known for novels steeped in the more sinister aspects of American life, shows where he got his gritty stuff in this collection of early journalism. The book features plenty of columns, most of them well under 1000 words. References to the likes of Angel Cordera and Earl Butz give the work a certain vintage feel. Dexter presents generous slices of plebian life, often with a twist. He writes of city rooms, gas stations and bars at two in the morning. In the streets of the nation, his people eat Wonder Bread sandwiches. He tells of old ladies and killers, burglars and boxers, women of various professions high and low, cats and dogs both living and dead. He presents working stiffs, psychopaths, seedy geezers and cunning kids. Nor does he neglect Mrs. Dexter, ubiquitous in these pages. His men have gravy stains on their clothes, and his women sport cleavage. The text is marked by easy grammar, some wit and frequent muscle. There are moments that verge on affectation, but for the most part the author’s true eye for detail makes for easy reading. Stories, yarns and fables in the venerable newsmen’s mold.